Yes, we’re back to aubergines again because I’m a little obsessed with them at the moment. One of the things that converted me to aubergines was a two-week jolly through Rajasthan, where we rarely ate meat (and only because we couldn’t bring ourselves to fork out the, oh, 40p extra it might cost us) and enjoyed a LOT of dahl fry. 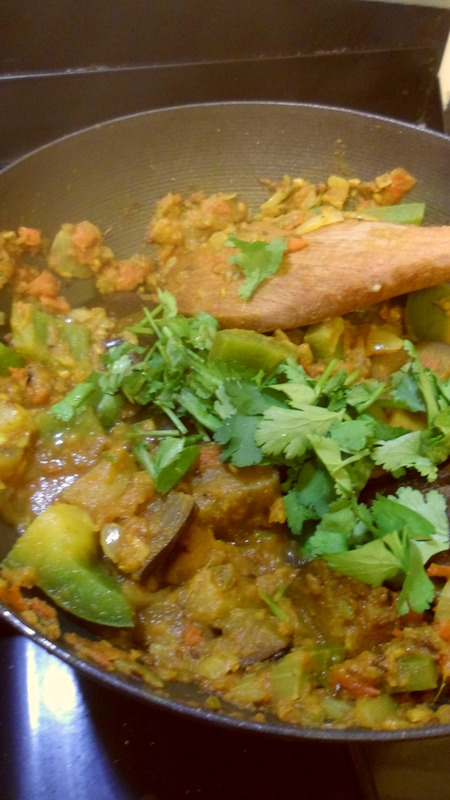 The combination of aubergine with the North Indian acidifier of choice, tomatoes, also proved pretty addictive. One of the highlights was a stop near Jaipur at Saleem’s house. Saleem being the poor sod who through the combined ill fortune of monsoon and Indian Railways had ended up being our driver. 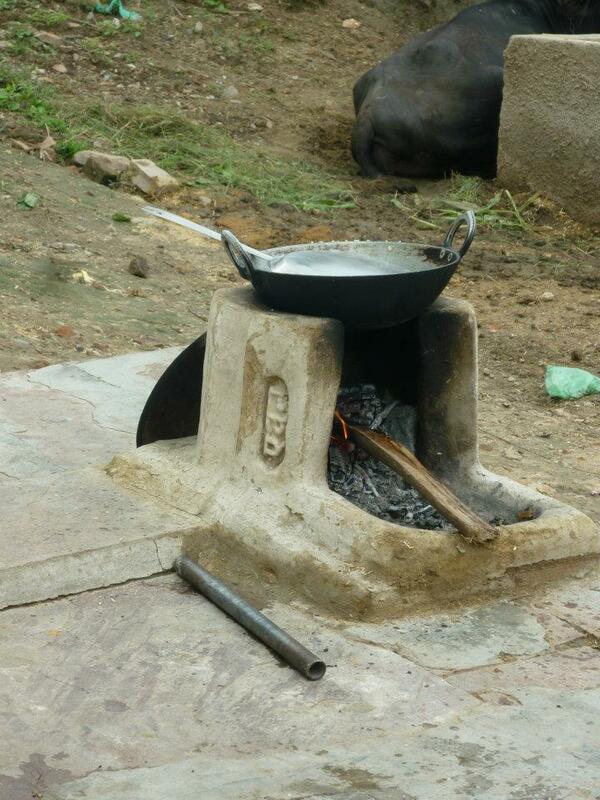 His hotel recommendations notwithstanding, a nice chap whose wife cooked us an amazing lunch over this fire, which was fuelled with locally-sourced fuel: cow pats. So this one’s for Saleem and his Western music collection – a 1999 CD of the Greatest Hits of the Backstreet Boys. 7. Add the aubergines and peppers and cook for at least 20 minutes, adding a splash of water where needed. The idea here is to really mash up the aubergine, so get involved. 8. Finish by stirring in the garam masala and topped with a squeeze of lemon and chopped coriander. Serve with rice, parathas or chapatis.